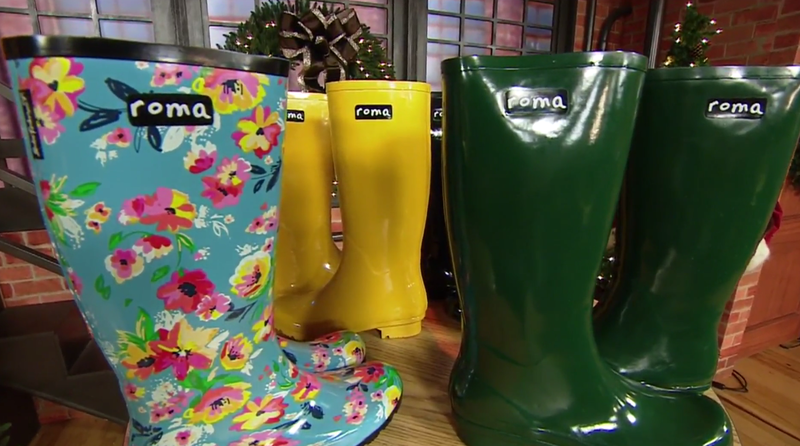 Congratulations to our Client Roma Boots for their feature on Good Day Sacramento! As if you need another reason to buy a pair of cute boots, Roma Boots will give you two. Not only are they fashion forward, but also theyâ€™re for a good cause! Roma Boots is a â€œone for oneâ€ Company. For every pair sold, the company donates a pair of boots that are filled with educational necessities to a child in need. This holiday season, Roma Boots has partnered with A&Eâ€™s Duck DynastyÂ and ABCâ€™s Dancing with the Starsâ€™ Sadie Robertson to create a collection of stylish rain boots that are perfect for any girl who wants to give back, but also look trÃ¨s chic. TheÂ SadieÂ RobertsonÂ Live Originalâ„¢Â CollectionÂ boasts all-weather boots that are waterproof, eco-friendly and slip resistant. Composed of natural rubber and lined with soft cotton, these boots are both sensible and stylish!